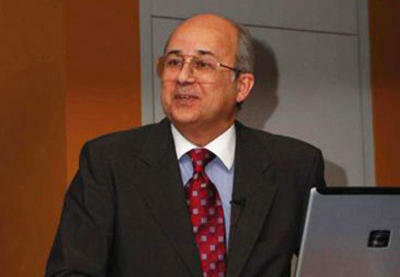 The work of the Global Baku Forum will definitely make a positive contribution to the solution of global problems, said Ismail Serageldin, co-chair of the Nizami Ganjavi International Center, director of the Library of Alexandria, at the 5th Global Baku Forum, kicked off in the Azerbaijani capital on March 16. Alongside with Serageldin, the two-day forum titled “The Future of International Relations: Power and Interests” is also attended by Latvian President Raimonds Vejonis, Macedonian President Gjorge Ivanov, Albanian President Bujar Nishani, Montenegrin President Filip Vujanovic, Georgian President Giorgi Margvelashvili, Saudi Arabian Prince, Chairman of the Board of Directors of King Faisal Centre for Research and Islamic Studies Turki Al-Faisal. Serageldin noted that the forum grows and develops every year, current and former presidents and prime ministers from all over the world actively participate in it. He also thanked the Azerbaijani President Ilham Aliyev for supporting the forum on behalf of all forum participants. The director of the Library of Alexandria said that the current forum is taking place during a period of global instability, when the world faces challenges and changes in many regions, and the forum participants will try to find ways to solve these problems. Nearly 300 delegates from 53 countries, as well as a number of influential state figures, politicians, experts, and political scientists who play a pivotal role in shaping the modern global politics are attending the 5th Global Baku Forum.